ARTIS is a leading materials research facility and consultancy specialising in elastomeric and other polymeric materials. 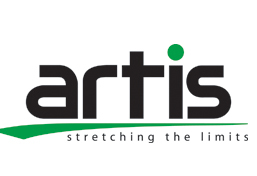 With a background of over 100 years in industrial research & development to utilise, ARTIS has developed solutions covering a range of applications including: oil & gas, defence, automotive, industrial and rail applications. Our professional staff have over 200 years combined experience in science and engineering at both academic and industrial levels from technician to project management roles. This combination of history, testing facilities and experience uniquely positions ARTIS to identify both the root cause, as well as potential solutions resulting in the majority of our customers returning for further analyses. ARTIS – your partner to deliver successful projects from basic material property testing, through complex chemical and failure analysis to turnkey product and process development projects.